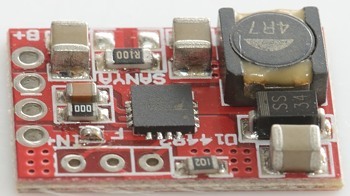 This is a charger module from ebay, it is based on the TP5000 charge controller, depending on settings it can either charge with 4.2 volt or 3.6 volt. I got it in this bag without the led soldered in. 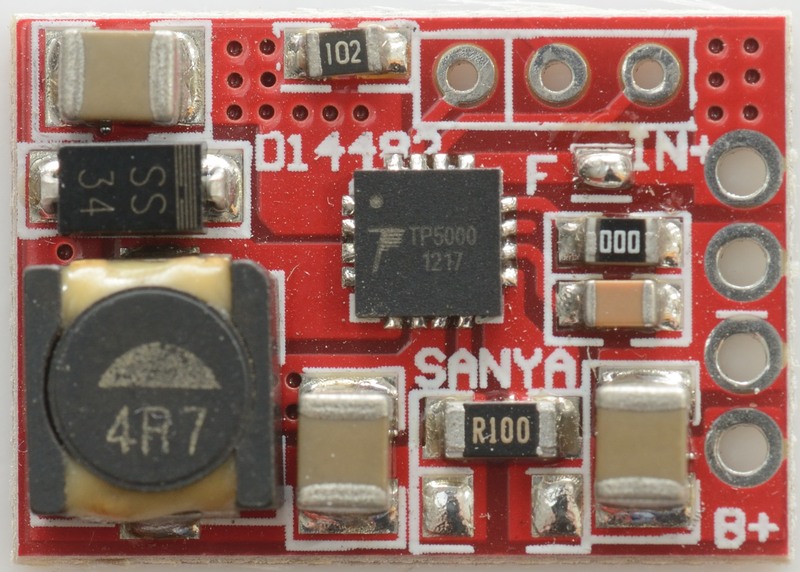 There is only components on one side of the circuit board. 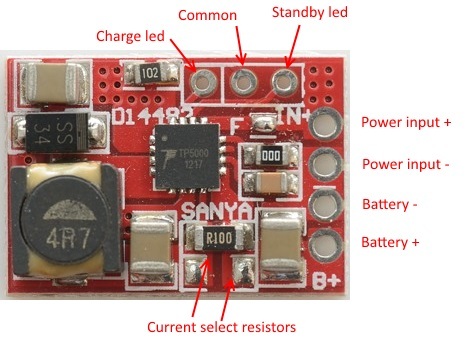 The charger is one switcher chip with inductor, diode and current sense resistor(s). 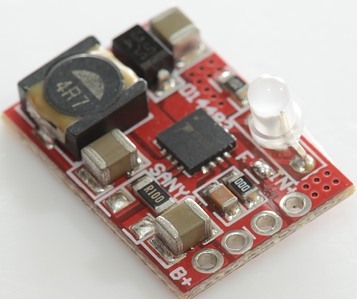 The supplied led is a 3 pin two color led that fits directly in the holes. 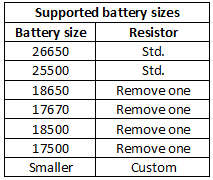 The charge current can be anything from 0.1A to 2A, this table shows some of the possibilities. 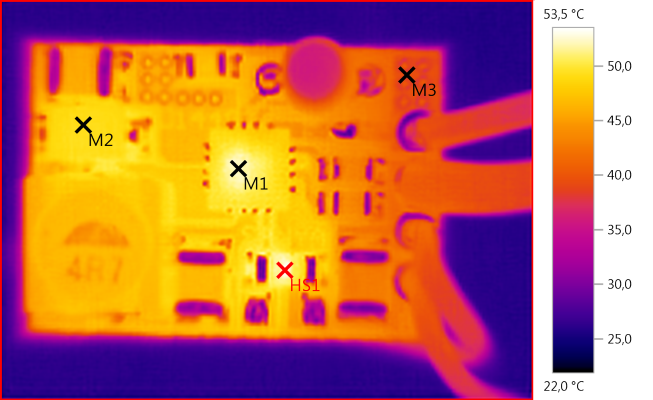 Without a heatsink it is best to keep the current at 1A or lower. 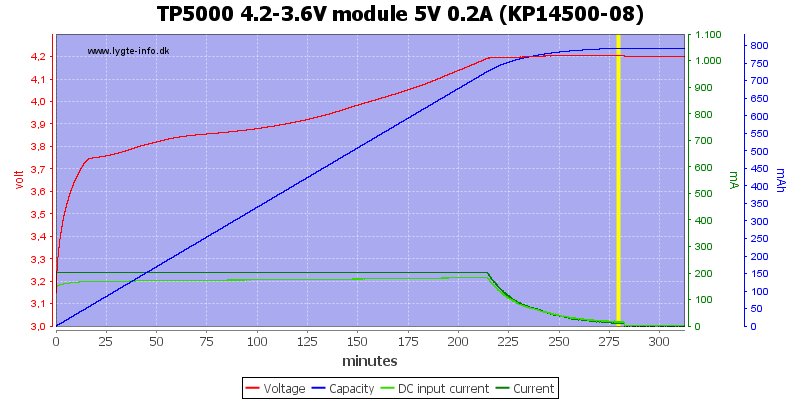 Charging LiFePO4 works, but is not ideal. Discharge with 3uA when not connected to power. Discharge with 8uA when connected to power (5 volt supply). Will restart if battery voltage drops to 4 volt (4.2V setting). 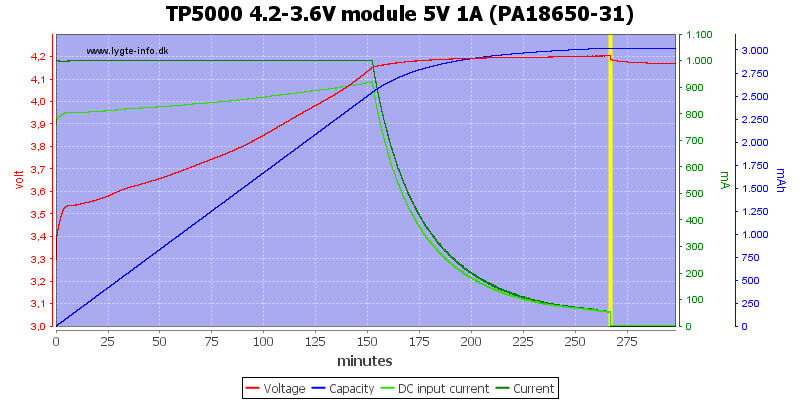 Will restart if battery voltage drops to 3.45 volt (3.6V setting). 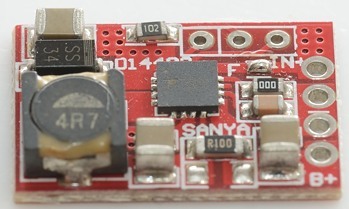 From 0 to 1 volt it will charge with 0.4A (1A setting). 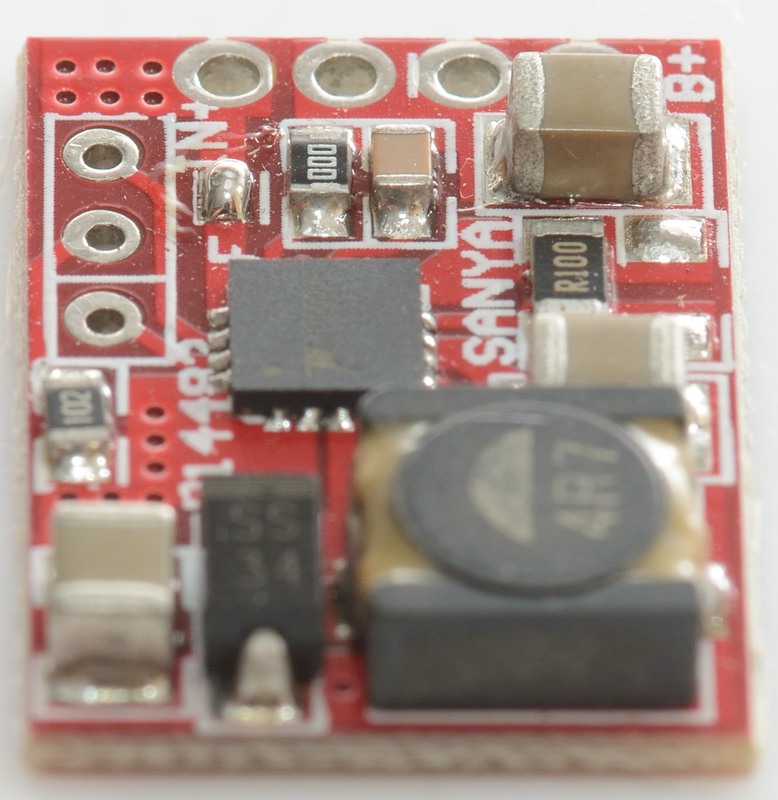 From 1 to 2.9 volt it will charge with 0.1A (4.2V/1A setting). 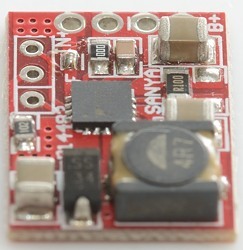 From 1 to 2.4 volt it will charge with 0.1A (3.6V/1A setting). 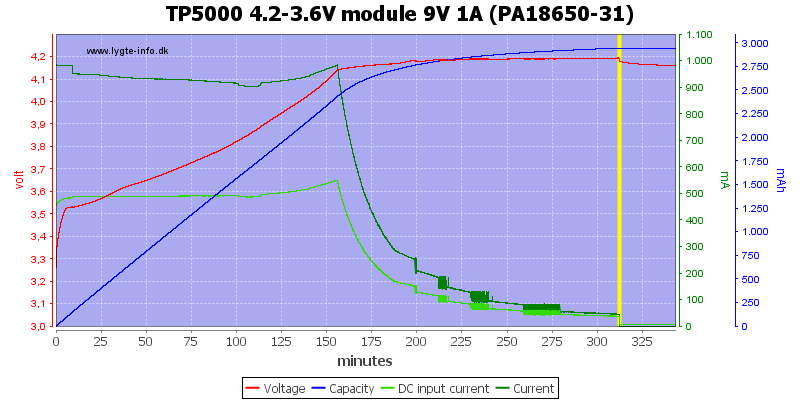 This looks like a good CC/CV charging with termination a bit below 10% of charge current. 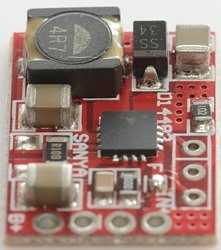 Compared to linear regulators this regulator reduces current closer to 4.2V, this will make the charging a bit faster. 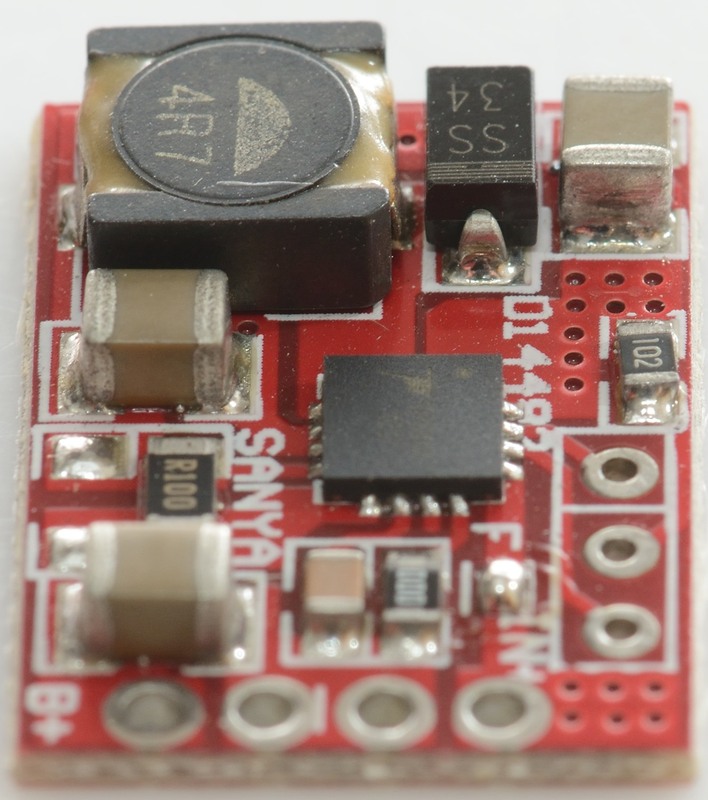 With 9V input the charge reduces the current slightly. 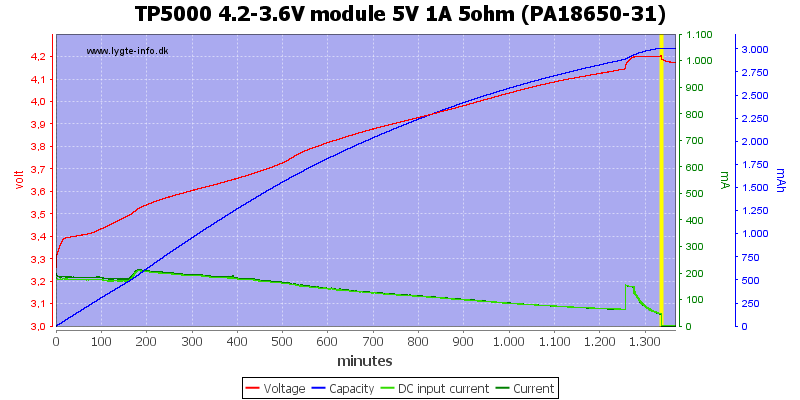 With the higher input voltage everything gets a bit warmer. The other capacities are charged fine. The old cell goes into CV phase fairly early (As expected). 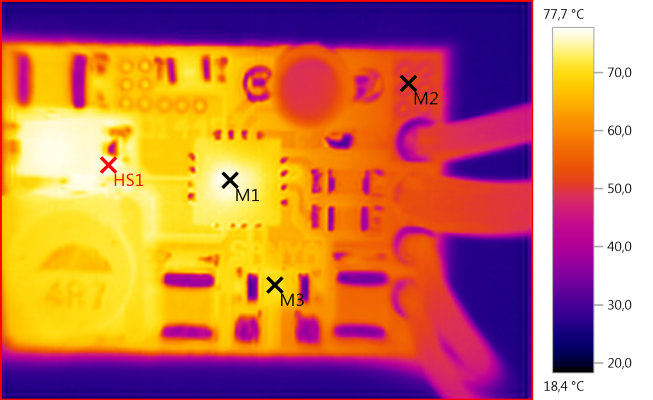 Changing the current sense resistor to 0.22ohm reduces the current ot about 0.45A, the termination current will also be reduced. 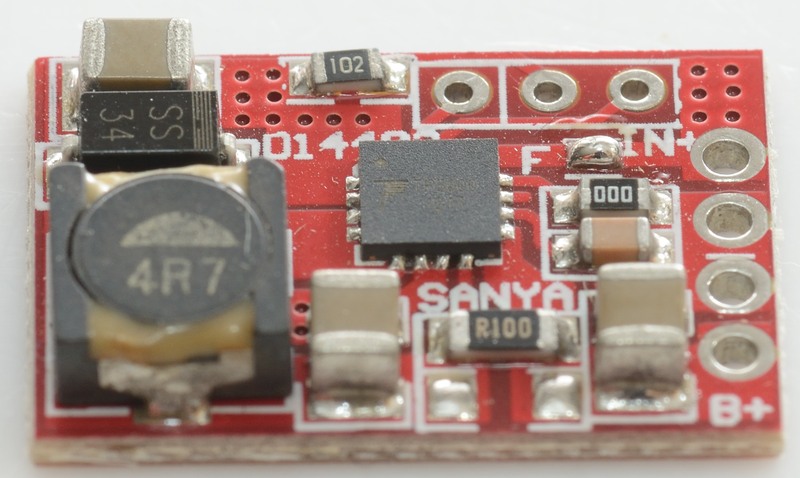 A 0.5ohm current sense resistor means 0.2A charge current. Adding a 0.5ohm resistor in series with the power supply do not affect the charging. 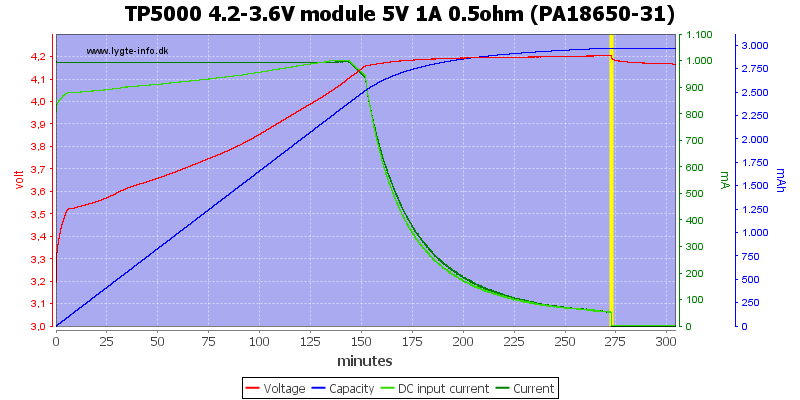 With a 5ohm resistor the charging is slowed down, but still works correctly. 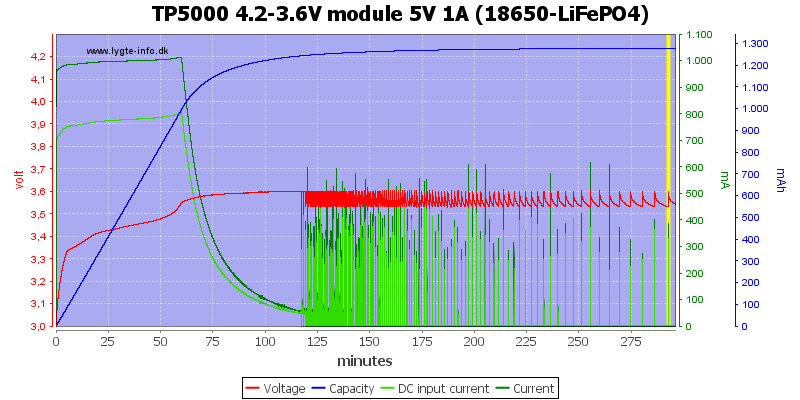 Breaking the 3.6 volt jumper I tried charging a LiFePO4 cell. The charge voltage is fine, but I do not like the automatic restart, it is placed at too high voltage. 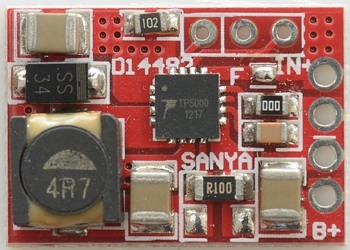 It is a nice module for charging 4.2 volt LiIon batteries, even fairly small ones, the flexibility in input voltage makes it useful for 6V unregulated solar panels. 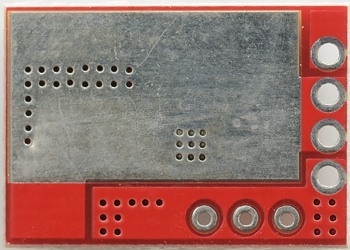 For charging at more than 1A it is best to mount it on a small metal plate with electric isolation between. 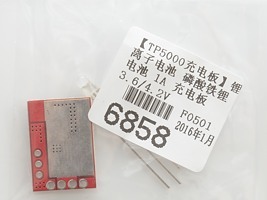 This is the second TP5000 module I have reviewed, the first is here.